Rewards Canada: September 11 Update: Canada Jetlines plans to fly out of Hamilton & Waterloo, Amex transfer bonus to BA & more! 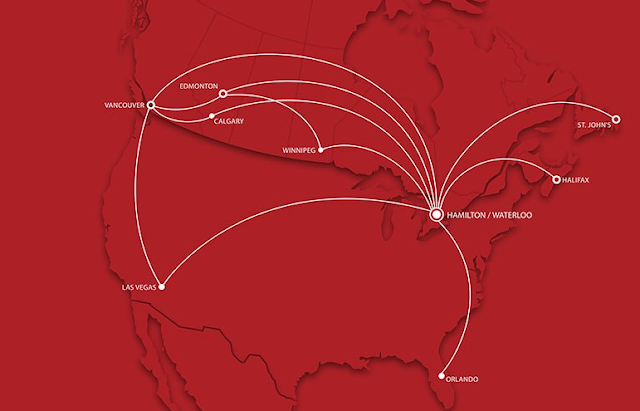 September 11 Update: Canada Jetlines plans to fly out of Hamilton & Waterloo, Amex transfer bonus to BA & more! 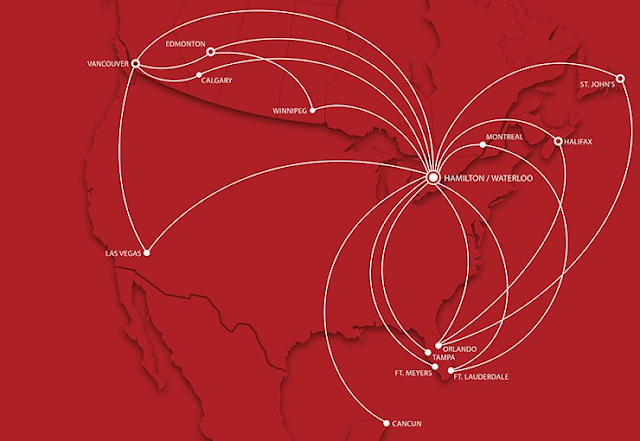 Canada Jetlines, one of three known Ultra Low Cost Carriers looking to tackle the Canadian market has had a couple of announcements over the past few days with the latest being today's news about the first routes they plan out of Hamiltion and Waterloo for next summer that should start around June or July. They also posted planned routes that should launch later in 2018 and 2019. Last week they announced they signed a letter of intent for two Boeing 737-800NG aircraft. Looks like this airline is getting closer to a true launch. Still waiting in the wings are WestJet's ULCC and Enerjet's planned ULCC called FlyToo. Add into the mix Flair Airlines (nee Newleaf) and you have four airlines who are going to try to go after the really low fare market. Of course Air Canada and possibly WestJet won't take it. The good news is that we should see some lower fares across the board for a few years however it is highly unlikely all four airlines will survive, that is if they all get off the ground. Most ULCC airlines they don't have their own frequent flyer programs and chances are these ones will not so you can always take advantage of proprietary credit card programs to earn and burn points on these flights.